Learning React can be a task in and of itself. Yet, most tutorials also put even more load on you. 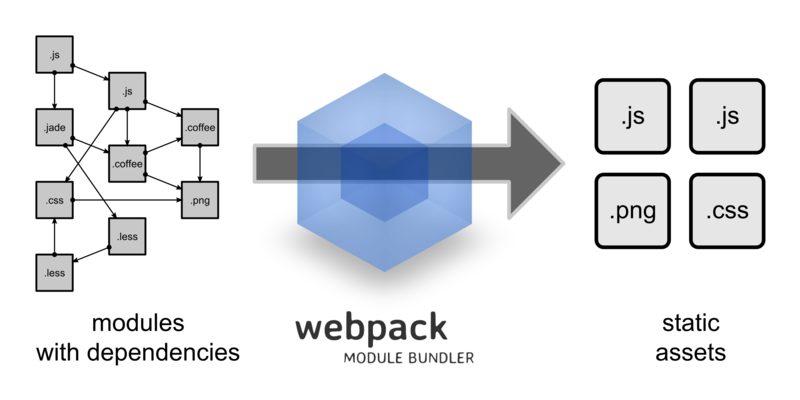 Instead of getting to the point, it’s almost customary to teach you Webpack first. And different options it takes. And various plugins. And a separate “production” config you aren’t going to need at the moment. This is… overwhelming. But guess what? You don’t have to go that route. Your focus, first and foremost, should be on nailing that React thing. Forget about everything else — Webpack, Redux, and a bazillion of other fancy stuff. You’ll get to these when the time comes. For the moment, though, cut straight to the meat. Create-react-app, or CRA, is the easiest way to get started with React. Boilerplate projects are pre-configured Webpack setups tailored to React. All you need to go is to git clone the project and dabble your way through React, no manual setup necessary. The actual mechanics of where app files live and how you start it vary from boilerplate to boilerplate. The app code is usually in app or src, and the whole thing is started with npm run start. 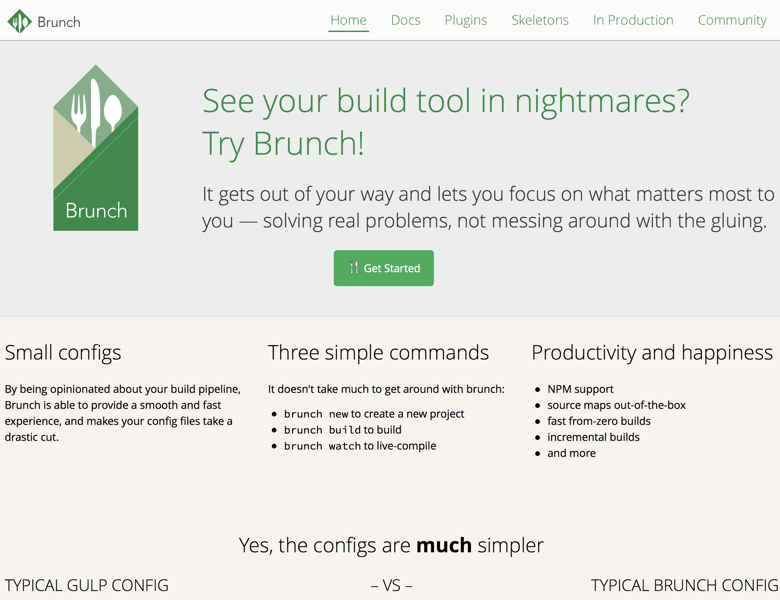 Brunch is another build tool on the block. It’s older than Webpack and was initially created as an alternative to Grunt. It has recently caught up with where front-end dev is heading and is mostly on par with Webpack feature-wise. What makes Brunch cool, especially when you are only getting started with JS development, is its focus on simplicity and developer happiness. It also has really-barebones starter projects for some of the most popular setups. Head over to localhost:3333 and it’s there. Now, edit in the app director to build your super special project.